Using 3 different settings, you'll be able to experiment with the imagery and mix up the patterns the way you see fit. The 3 LED lamps that the projector employs have a lifespan of 100,000 (that's one hundred thousand) hours. The whirring motor sound can be a little annoying. 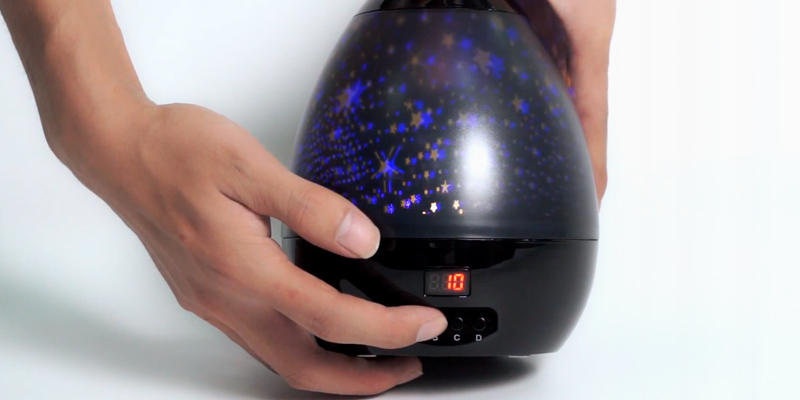 Kingtoys HB-HG01248UK is easily the best star projector we've come across. Its versatility and flexibility alone make a fairly compelling case. Add to that the coverage area and you're left with an excellent product and an ace birthday or Christmas gift. Supplied with a nice little remote, the product allows you to control it from a convenient distance. Plus, its transmission radius is fairly wide, so you won't have to point it directly at the projector. The rechargeable battery lasts for 15 hours. 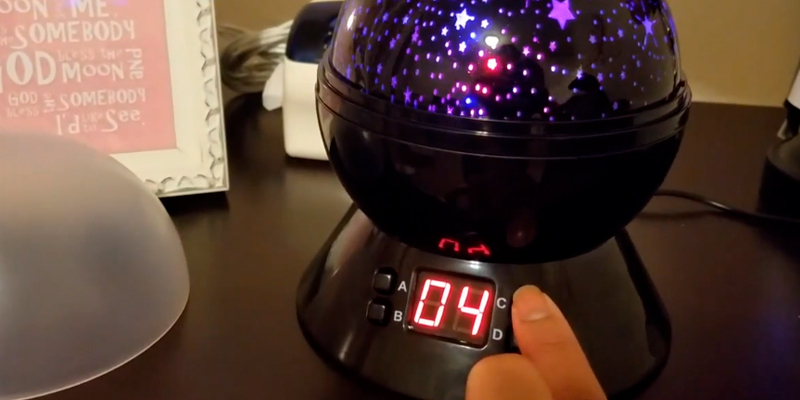 This home planetarium from Aisuo is a portable device that will allow you to set up a starry sky in any part of your home. Among other things, it is great for people who have children equally interested and excited about the cosmos sleeping in separate rooms. The black orb, with its 360-degree rotation setup, creates the most fantastic starry sky show with lots of moving pieces. The motor is really silent. You can turn the rotation on and off. There are 9 colours that you can choose from. The USB cable is relatively short. 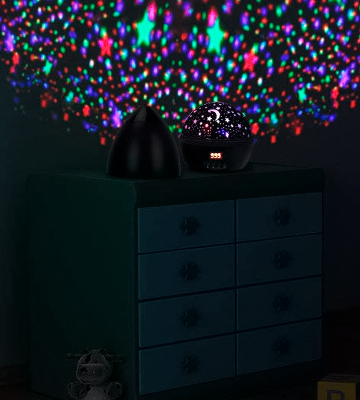 We would recommend the SCOPOW 1B201B06H8 starlight projector for people with picky kids, the kind of kids who would never settle for a subpar product with lazily put patterns. 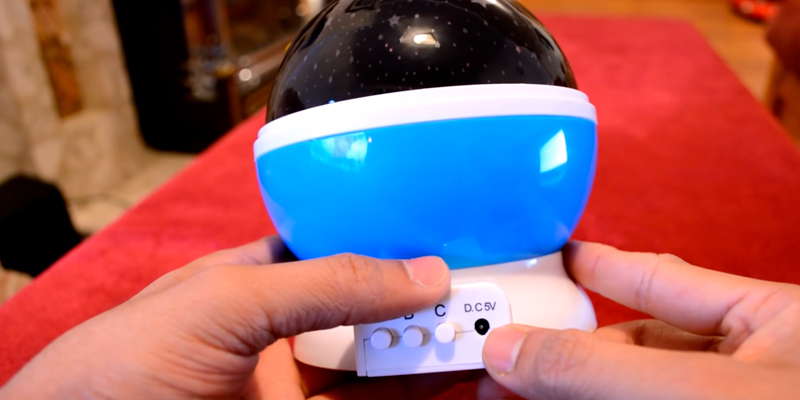 More than anything else, this is a product that could spark your kid's interest in astronomy. 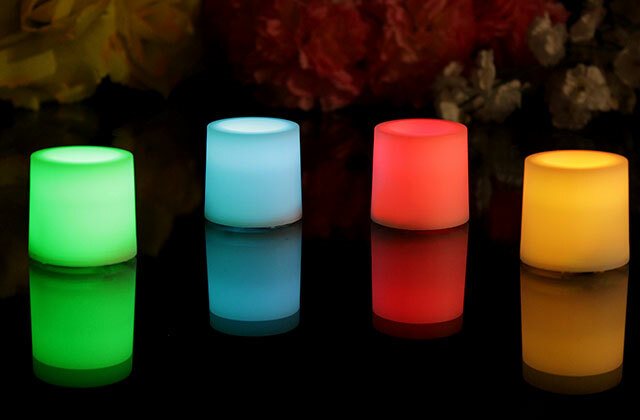 With the cover on, the device can be used as a lovely night lamp. Put it off and you have yourself a proper starlight projector. 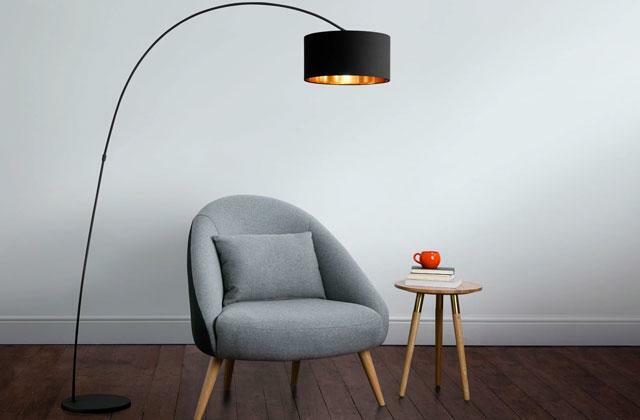 Since it comes equipped with a hanging strap, you can easily move the projector around the house and find more ways and places to put and hang it. The batteries don't last for very long. LBELL UK8-SPL2 presents a slightly different take on the usual starlight projector design and, honestly, there's a lot to like about it. Useful in more ways than one, this projector will be a good addition to any kids' room. With 11 x 11 x 14 centimetres in overall dimensions, it doesn't take up a whole lot of space. The model's 3 settings will allow you to turn the device into a night lamp, switch the colours from a monochrome light to a colourful light overlay, and control the rotation switch. 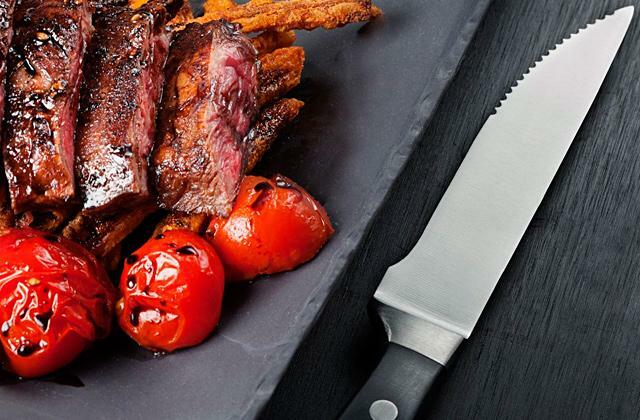 Doesn't include a timer function. ElecStars ES-012 is an excellent budget version. Though it does come up short in a couple of categories, the modest price point more than makes up for these shortcomings. 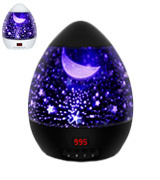 Use this device to turn a nursery room into a place full of awe and wonder. 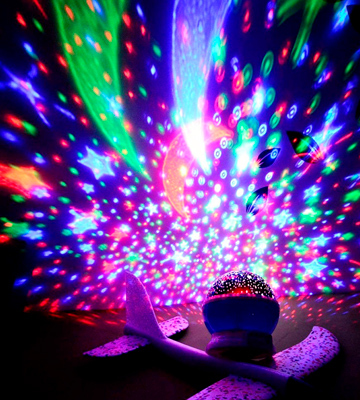 Kingtoys HB-HG01248UK is the only star projector on our list that can be used both indoors and outdoors. Unfortunately, an AC outlet is your only power source option and you won't be able to run it on batteries. Though that does make sense considering its 64 square metres of the coverage area. 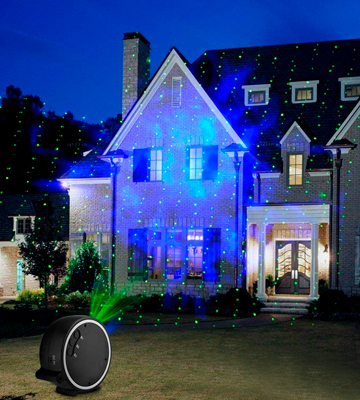 With this projector, you'll be able to decorate the largest spaces. White clouds move and stars flash in the blue sky at night, the blue star sky and white clouds show dark or bright. It reflects the true qualities of the stars and the clouds. In addition to a beautiful sky scene with lots of stars, the model is capable of producing clouds and dynamic watermark lights. Using 3 different settings, you'll be able to experiment with the imagery and mix up the patterns the way you see fit. Where most similar projectors include but a single pre-set pattern, this device gives you much more to work with. By the way, the 3 LED lamps that the projector employs have a lifespan of 100,000 (that's one hundred thousand) hours. That means your kid will be able to enjoy the gorgeous visuals and explore the stars for years on end and you'll likely never have to change the lights. The only area where the product sort of disappoints is the motor that gets a little loud whilst changing the patterns. Other than that, Kingtoys HB-HG01248UK is easily the best star projector we've come across. Its versatility and flexibility alone make a fairly compelling case. Add to that the coverage area and you're left with an excellent product and an ace birthday or Christmas gift. This model from Aisuo is more or less everything people have come to expect from and look for in starlight projectors. Supplied with a nice little remote, the product allows you to control it from a convenient distance. Plus, its transmission radius is fairly wide, so you won't have to point it directly at the projector. 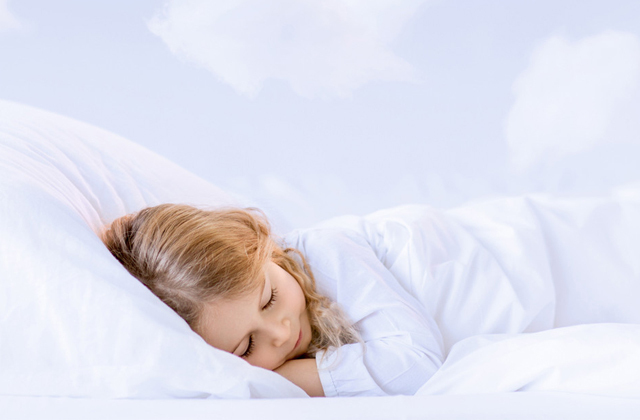 The warm light function can be used to help your little one fall asleep at night. 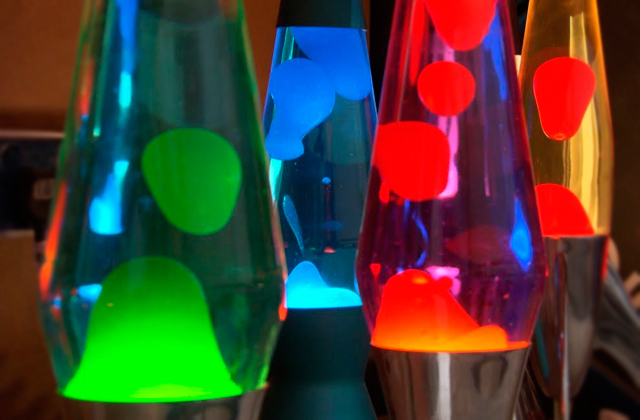 For entertainment purposes, there are the "change colour" and "rotating" functions with their self-explanatory features. 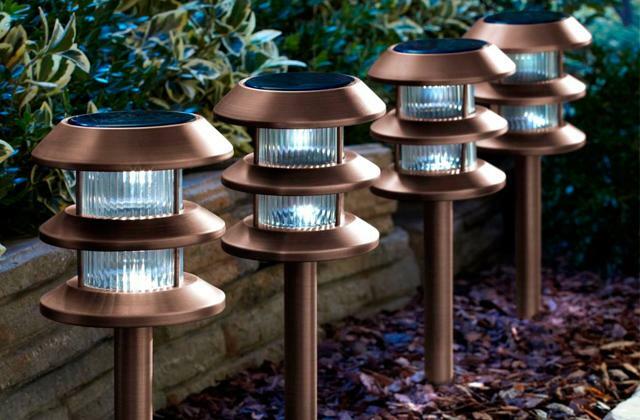 What we really like about this product are the power source options. You can use the USB cable and any device with a USB port as a constant source of power. Or you charge it up, plug it off, and rely on the built-in 1200 mAh rechargeable battery to deliver hours of entertainment in a remote manner. You won't have to waste money on batteries and, considering that the rechargeable one usually lasts for almost 15 hours, you'll be able to move the projector around the house without having to recharge it every couple of hours. That being said, the white housing gets easily soiled, so you'll likely have to wipe it on a frequent basis, a bit of a shame but nothing to complain too much about either. 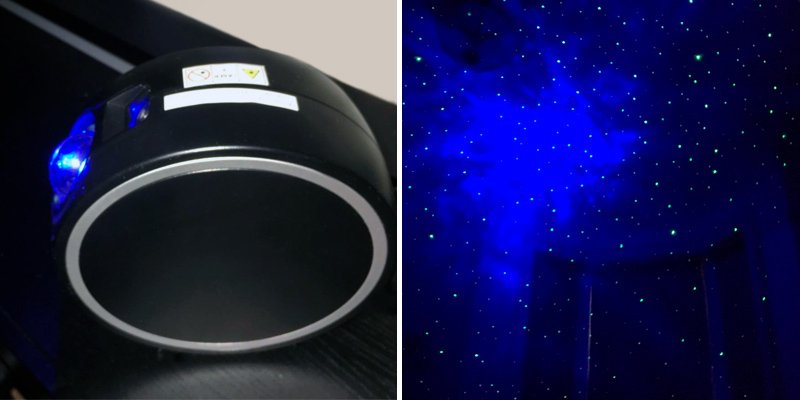 In short, this home planetarium from Aisuo is a portable device that will allow you to set up a starry sky in any part of your home. Among other things, it is great for people who have children equally interested and excited about the cosmos sleeping in separate bedrooms. With starlight projectors, it is all about the execution. More specifically, the quality of the pattern(s). Even more specifically, the number of shapes and objects, the way they are arranged, the way they move, the overall imagery they portray. The people behind SCOPOW 1B201B06H8 understand that. Despite the lazy name, this is an inventive product through and through. The black orb, with its 360-degree rotation setup, creates the most fantastic and literally moving starry sky show. 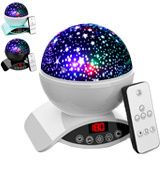 It gives you a full night sky projection of stars on ceilings and walls of your choosing. From the functionality standpoint, the model incorporates 4 settings. The first one allows you to set a timer. The second lets you access the rotary switch. The third one can be used to choose the colour of the stars. 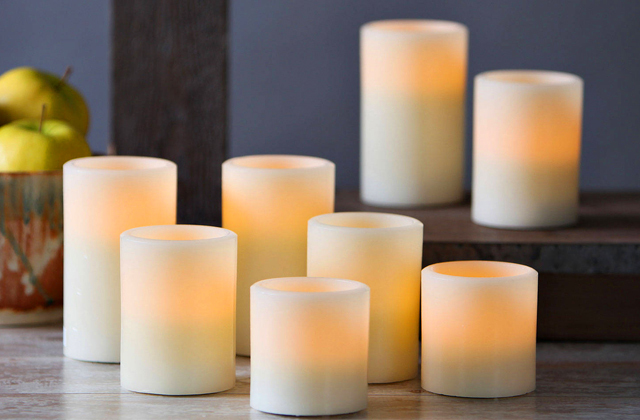 The last one, dubbed "warm night", produces less of a show and more of a nice calming light that creates a romantic and relaxing atmosphere. As far as the power source options are concerned, you can choose between 4 AAA batteries or USB. Though the latter would be an obvious and more logical choice more often than not, the USB cable that comes with the model is relatively short, so you'll have to either replace it or make sure the device with the USB port can be placed near the projector. 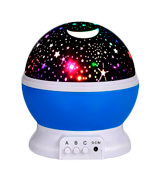 To put it differently, we would recommend the SCOPOW 1B201B06H8 starlight projector for people with picky kids, the kind of kids who would never settle for a subpar product with lazily put patterns. 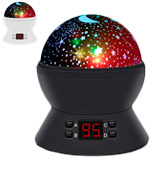 More than anything else, this is a product that could spark your kid's interest in astronomy. Generally speaking, we don't really care that much about the projectors' appearance. After all, what matters are the lights that they're able to produce and the show that they are capable of putting on. But there's just something about its egg-shaped profile that really catches the eye and allows the model to stand out from the usual orb-on-a-dome design choice. 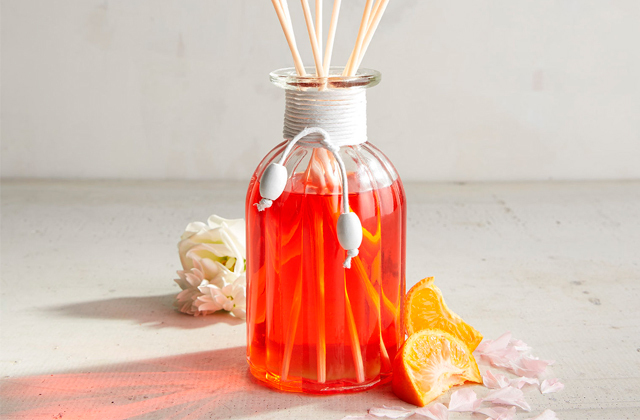 The adorable shape makes the product a nice accessory and a lovely addition to your kids' room decor. Though it isn't like the shape adds nothing but visual points. It is surprisingly practical too. 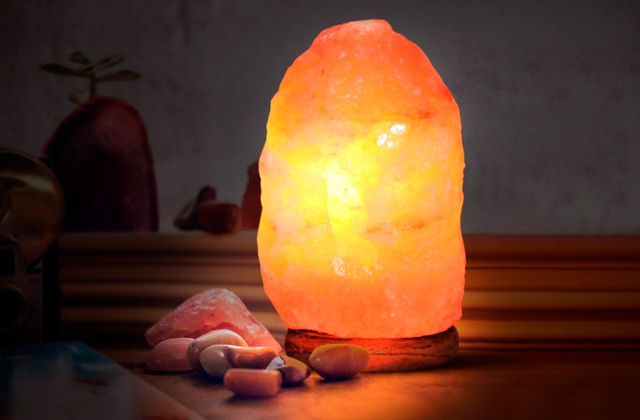 With the cover on, the device can be used as a lovely night lamp. Put it off and you have yourself a proper starlight projector. 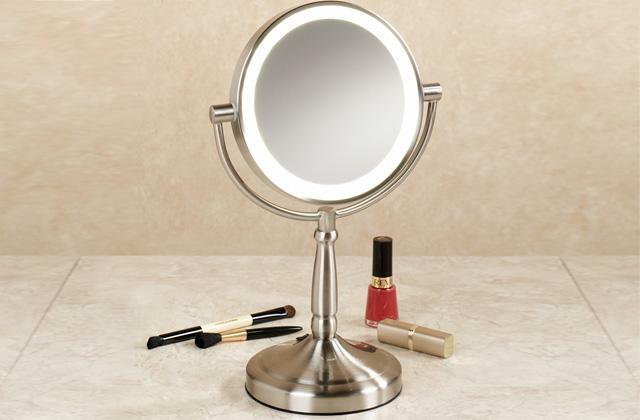 By the way, as a lamp, it doesn't just have to be a nightstand model. Since the projector comes equipped with a hanging strap, you can easily move the device around the house and find more ways and places to put and hang it. The only issue with the hanging approach is the batteries. 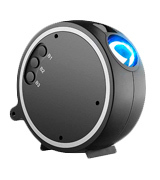 Sure, the model gives you the option of ditching the USB cable and going with 4 AAA batteries. The thing is, the device burns through those batteries relatively quickly, so you'll have to change them quite often. Apart from that, LBELL UK8-SPL2 presents a slightly different take on the usual starlight projector design and, honestly, we don't see any reasons to hate on it. Useful in more ways than one, this projector will be a good addition to any kids' room. 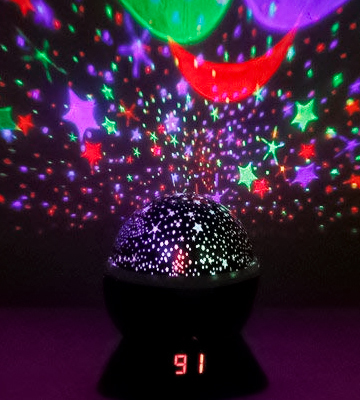 Plus, it is probably the best star projector in its price range when it comes to aesthetics alone. ElecStars ES-012 is the most basic product here. Now, we are not saying that it is bad. Far from it, really. Just that there really isn't anything about it that makes the product stand out from the starlight projector crowd. Well, except for the price. Right now, it goes for 8 quid, a really attractive price for such a functional, fun, and lovely device. That being said, there are things that come with the conservative price point. For one, the model doesn't include a timer function, not a big deal but it is a nice thing to have at your disposal nonetheless. Its lightning coverage area limited to 16 square metres is a little unfortunate though. A coverage area like that makes the model perfectly suitable for nursery rooms but not that great for older kids and larger premises. 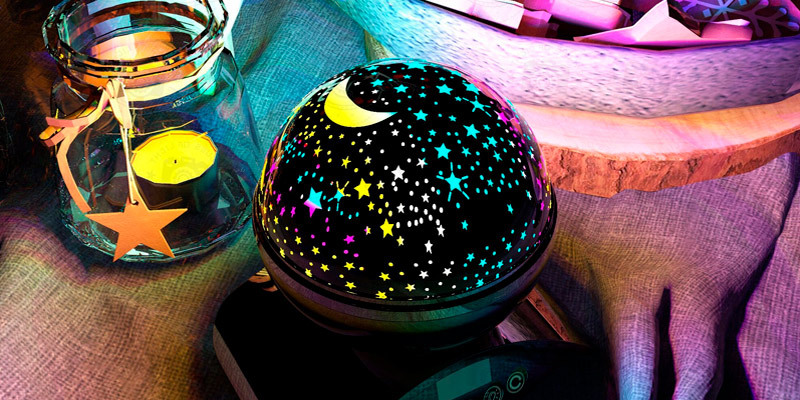 On the bright side, the product comes with a detachable dome, so you can use it as a night lamp and as a starlight projector. With 11 x 11 x 14 centimetres in overall dimensions, it doesn't take up a whole lot of space. The model's 3 settings will allow you to turn the device into a night lamp, switch the colours from a monochrome light to a colourful light overlay, and turn the rotation on or off. In other words, ElecStars ES-012 is an excellent budget version. Though it does come up short in a couple of categories, the modest price point more than makes up for these shortcomings. 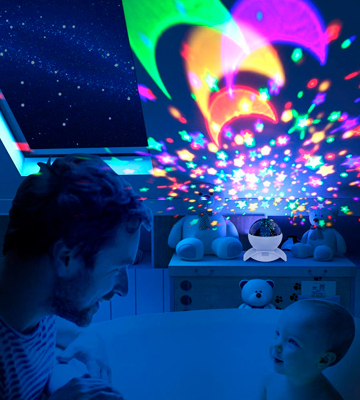 Use this device to turn a nursery room into a place full of awe and wonder. What Is a Star Light Projector? It doesn't matter what the science says, the stars are magic. Their visual appeal is almost magnetic, there isn't a kid nor an adult (provided he hasn't lost his sense of joy and wonder) that isn't fascinated by them, regardless of their knowledge on the subject. Of course, the stars are always there but they aren't always visible to the naked eye. When they aren't, a starlight projector will have to do. In case the name itself isn't enough of a giveaway, a projector like that is a device that, using a combination of lasers, regular lights, and different reflections, lights up the walls, the ceiling, and the floor with the most remarkable imagery. Different models produce different patterns, shapes, and objects but the end goal is the same: create a colourful presentation able to help kids fall asleep, entertain them, and, fingers crossed, even spark an interest in the universe, astronomy, and cosmos in general and our galaxy, solar system, different constellations, the moon, and all sorts of stars and planets in particular. The only things kids like more than the universe and stars are dinosaurs and transformers, so you might want to consider our reviews of those as well while you're at it.